When you hear the words Passionate About Reading spoken in a room filled with teachers and librarians, the name Steve Layne is likely to roll quickly off of someone's tongue. Whether he's keynoting a library conference in New Hampshire, training pre-service teachers at Judson University in Illinois, presenting a seminar in Alaska, talking with school children on Guam, or just going one-on-one with a new acquaintance at the local Starbucks - his contagious love for books spills out and over into everything he does. He is, in the words of a recent seminar participant, "the most powerful instrument of change to cross my path in 30+ years working in the schools." Steve's mission statement is simple and hasnt changed since he began speaking as an educator and author several years ago. "Building lifetime readers is what its all about for reading teachers and librarians. If we arent doing that - what are we doing? We have to be about this business with every fiber of our being. Infectious - thats what they should call us! Professionally speaking, from my perspective at least, there isnt time for much else." 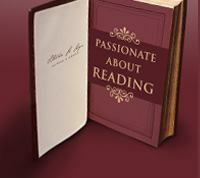 "I heartily recommend Steve Layne - the best reading motivator ... anytime, anywhere."